Years ago, the school that employed me as a fundraiser paid for a subscription to the Chronicle of Philanthropy. So when I began running a development shop, I made sure the Chronicle subscription was in my budget. The stack of Chronicles just kept piling up on my desk. And I was getting pretty much all the news I wanted from their free Philanthropy Today email. So I stopped subscribing. And over the years, I began believing a subscription to the Chronicle was simply too expensive for my small budget. Every time I'd throw away another subscription reminder, I'd pat myself on the back for being so frugal. About a year ago, I realized how much I'd miss the Chronicle if it were gone. When other media outlets report on philanthropy, they tend to just scratch the surface. Very few news agencies even have a "philanthropy" beat. The few that do make it seem more like a socialite's gossip column than a well researched piece. But the Chronicle's reporters like Holly Hall (and until recently Peter Panepento) have dedicated their entire journalistic skills to reporting on philanthropy. This professional journalism helps us in our sector in ways we often take for granted. Whether it's reporting on successful fundraising initiatives by nonprofits, investigating fraudulent nonprofits, profiling philanthropists, or intelligently reporting on the various giving reports issued throughout the year, the Chronicle's team is there. And they "get" our sector better than most other media. Sure, I get annoyed by some of the sensationalist "sky is falling" headlines I read about giving being down. And I worry that publicizing the crooks masquerading as nonprofit fundraisers will cause donors to doubt all of us. But having reporters with a history of reporting in our sector helps us all do our work more effectively. I'd still miss it if it didn't exist. And you know what I found about the cost? Subscribing to the Chronicle of Philanthropy is less than $6.50/month! That's less than two soy mocha lattes! I know many of our organizations run on very thin margins. 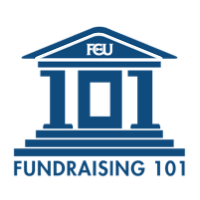 And there are lots of great free blogs and emails on all aspects of running and fundraising for nonprofits. But having trained journalists experienced with reporting on nonprofit philanthropy needs to be part of the mix. When I was a nonprofit employee, my bosses always saw a reference to a piece from the Chronicle as more authoritative than a quote from someone's blog. Sometimes in refusing to pay, we're being penny wise but pound foolish. I'm still getting the free daily emails. But when the stack gets to a certain size, I like to "binge read" the Chronicle the way some might "binge watch" House of Cards. It helps me see trends in stories and themes that I can apply to nonprofit fundraising and donor relations. The Chronicle didn't ask me to write this. I just know that the work of the people at the Chronicle makes me a better fundraiser and coach. So I'm giving credit where credit is due. And, I'm hoping I might persuade you to re-subscribe to the Chronicle too. Having just received my print edition today, I also agree that the Chronicle of Philanthropy is a publication everyone interested in philanthropy should read. The good news is that I find time to read it every single month! I'd like to also agree with the reader's comments about Holly Hall, whose articles I go to first when the publication arrives. Keep up the great work. Thanks for your comment, Barron!